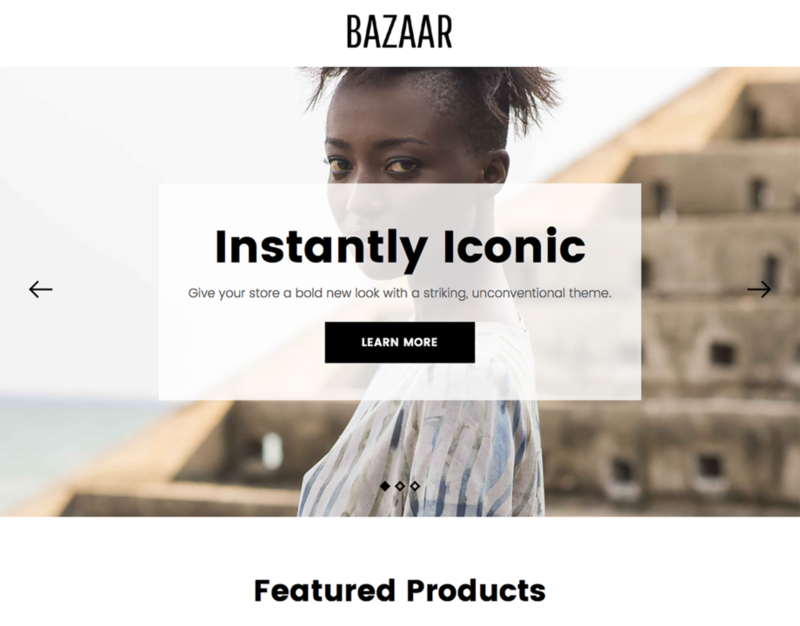 Bazaar is a fresh and innovative theme built to convert. 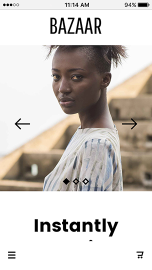 Its bold hero area and category grid combine to create a memorable first impression, while intuitive site navigation and product configuration deliver a purchasing experience that is effectively frictionless. Whether you’re selling clothing, jewelry, or artwork, Bazaar is the perfect theme for your one-of-a-kind brand.